Happy May! 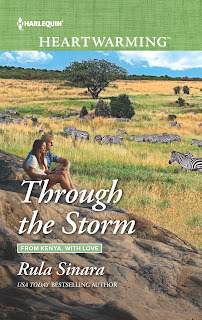 I’m celebrating the release of Through the Storm, the third novel in my ‘From Kenya, With Love’ series for Harlequin Heartwarming with 1) a GIVEAWAY and 2) by JUMPING HEADFIRST INTO A BOWL OF HENNA! You heard right. Henna. Okay, I didn’t jump in…at least not exactly. I leave that kind of danger to the hero in my book, Serengeti bush pilot Mac Walker ;). But allow me to explain. Why am I now a henna head? 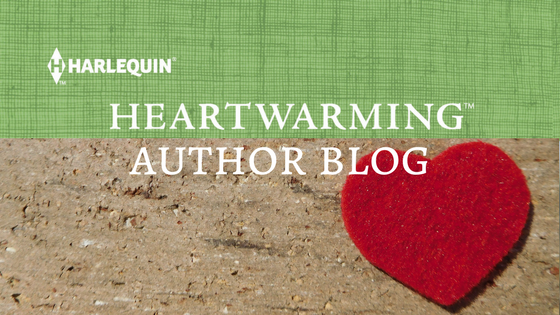 As many of you know, my Harlequin Heartwarming ‘From Kenya, With Love’ series is set in East Africa…specifically Kenya and its majestic Serengeti. I spent much of my childhood living in North Africa and one thing the entire region (from Africa to India and many other countries/cultures) has in common is the use of Henna, a natural plant based dye. Henna is used as a hair dye, as well as for elaborate, ‘temporary’ (they eventually fade…eventually) tattoos. 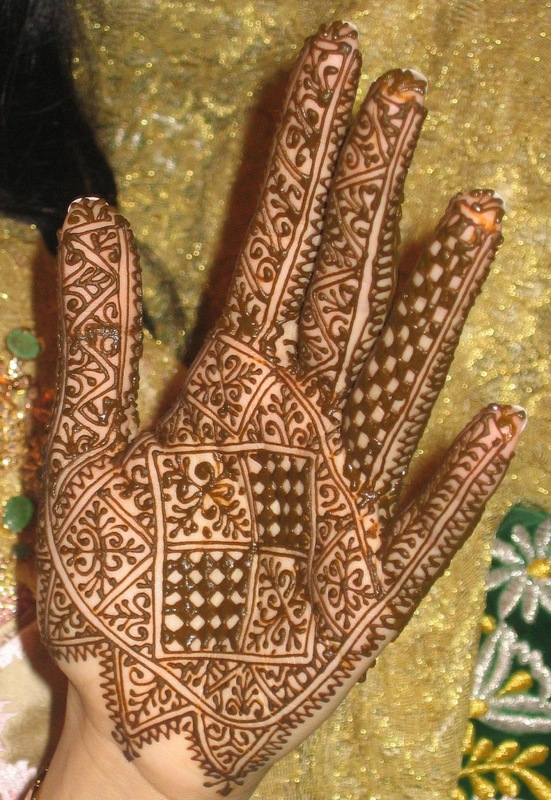 Culturally, henna tattoos are used in celebrations such as weddings. The designs are endless, detailed and quite beautiful. Although I don’t specifically mention henna in my Kenya series, it’s definitely used there and henna designs are a traditional part of wedding preparations there, including with the Masai…who do appear in my books! Henna can also be used for any ‘tattoo’ design. I personally love what the pregnant women in these images did to celebrate the beauty of their growing bellies! Pregnant belly henna designs (These are gorgeous! No chance of that happening now lol, but maybe I could henna tattoo an HW and a heart on my ankle for the RWA conference ;)! Hmmmm. Henna is great for hair and can also be used as a routine hair dye…free of harsh chemicals. The catch is pure henna is red. What shade of red depends on what color your hair was to begin with. 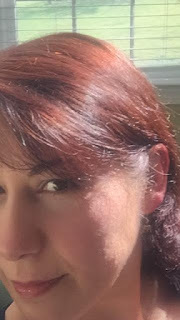 What I love about it is that, on brown hair, it shows up predominantly as highlights that glisten in the sun. As a pre-teen/teen, I often had henna in my hair. My mom used it to keep my hair conditioned and healthy. Plus, where we lived in Africa, henna use was super common (still is). One fun tradition was that, whenever henna was being prepared for hair (think women’s henna party), the ladies would literally get ‘we kids’ out of their hair (pun intended) by placing a dab of henna in our palm and having us curl our hand into a fist. The idea was that the tattoo shape that our scrunched fist would form would be a surprise…and if it looked like a fish we’d have good luck (or money would come our way ;). We’d run off and play, all the while keeping that fist until our moms said we could wash our hands for the big reveal. Back then, I almost always got a fish shape, so I thought I’d try it again. Last week, I bought some henna, mixed it up and slapped it on my hair (picture many towels, plastic wrap and gloves because this stuff is like thick mud). While it sat on my head, I put a dab in the palm of my hand. The result? You tell me. Alas, it’s definitely not a fish, though money luck would have been nice lol. I’m thinking some sort of bird. A rising phoenix? Here are my before and after hair photos. I’d love to hear what everyone thinks! And, yes, those are little elephant earrings ;). 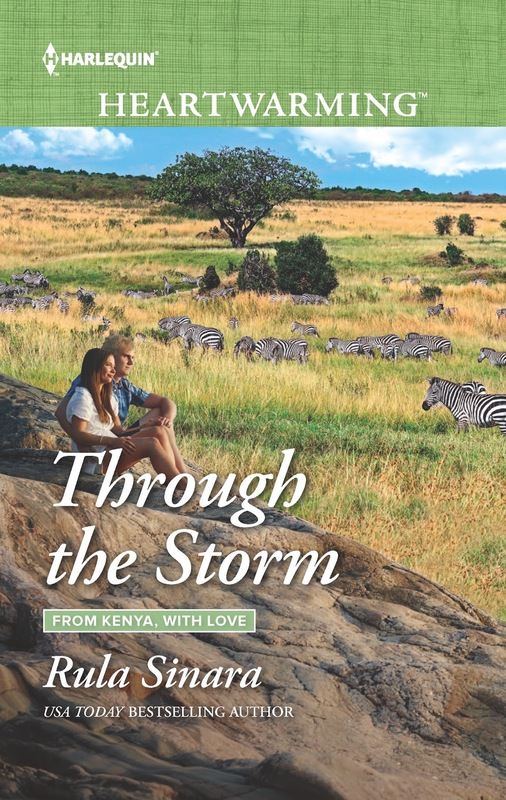 And in the name of Africa and celebrations (including my book release this month), I’m giving away a ‘From Kenya, With Love’ gift pack! This gift pack (and, honestly, any Harlequin Heartwarming book) would make a great gift for moms, grandmothers, sisters or anyone who enjoys tender, heartfelt romance. It includes a ‘From Kenya, With Love’ set of three 15 x 15 ½ inch canvas tote bags, 3 bookmarks, a pen, Harlequin sticky note pad, a ‘Think Harlequin’ pin, a ‘sweet and heartwarming’ bracelet, a cute mama and baby elephant figurine set and signed copies of the first two books in the series, The Promise of Rain and After the Silence. The giveaway is also posted on my blog…A Writer’s Rush…and linked to from my Facebook page. All you have to do to enter is leave a comment on this giveaway post or on the same post on the other two sites and let me know what you think about my henna head! Thumbs up or thumbs down? Or let me know if you've used henna before. The winner will be announced, along with a special behind-the-scenes post on Through the Storm, here on the Heartwarming Author blog Saturday, May 7th. THROUGH THE STORM is NOW AVAILABLE in print online at Amazon, Barnes and Noble and Harlequin or in ebook format everywhere! It’s also available on Netgalley for reviewers. Many thanks in advance to everyone who takes the time to post a review on Amazon, Goodreads or other review site…the ultimate gift to an author! Tessa Henning is no damsel. But she's definitely in distress. If her husband really is involved in the ivory trade, he'll come after her when he finds out what she's uncovered. Unfortunately, the only person who can help is Mac Walker. Stubborn, fiercely independent, danger-loving bush pilot Mac Walker—with whom she shares custody of their orphaned nephew. Though Mac's no knight in shining armor, he can keep her and their nephew safe in the Serengeti while they wait out this storm. But he can't protect Tessa from the strange weather brewing inside her, stirring up feelings for Mac she wishes she could ignore. Happy Mother’s Day and Happy Reading! Don't forget to check back here on Saturday for the winner! I'll have contact instructions for getting the prize pack mailed :). You're invited to sign up for my Newsletter! Rula, good luck with the giveaway and the release. You look great with that henna-lights! My daughter-in-law uses it sometimes, too. I like getting the temporary tattoos when we're at the beach and I'm feeling like someone else altogether. Thanks, Liz! You know, I'm tempted to put some in a frosting bag or medicine syringe and see what kind of tattoo design I can pull off! Thanks, Helen! So glad you enjoyed the story! Henna is definitely about the highlights, though if someone starts with light hair, it turns to a beautiful red/auburn. The henna looks great Rula!! When I read your post I immediately thought of I Love Lucy. There were always comical references to her use of henna. One of my friends SWEARS by henna. 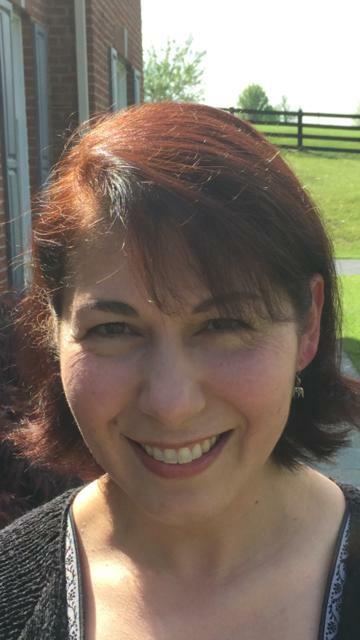 She has very dark brown hair and the henna looks lovely in her hair, especially in sunlight. She said she leaves it in for several hours. I want to try it. Thanks, Laurie! And thanks for being such a supportive fan of the Heartwarming line (and my books ;)! Too funny about I Love Lucy! I'd totally forgotten about that! The highlights on dark hair are what I love, plus the fact that it's natural/chemical free. The funny thing is that we've had such a long string of cloudy/rainy days that I was having a terrible time getting 'after' pictures! I had taken some (with my son's help) but the henna wasn't showing up well enough on camera. Then yesterday afternoon we had a sudden break in the weather. My son thought I was nuts because I grabbed him as soon as he got home from school and begged for more pics before the sun disappeared lol. Sure enough, right after we got them, we ended up having a severe thunderstorm! LOL, I worked hard for those after pics! Aw, you're too kind :). Thank you!! Did it when I was younger and I think a looks neat both a hand in the hair. But as an adult I don't do it because I have real tattoos . Whether henna or real, I think the artwork done can be amazing! Talk about patience with all that detail lol. I'm loving it in my hair because it really relaxed the frizz and made it feel shiny and healthy (I have baby fine hair). 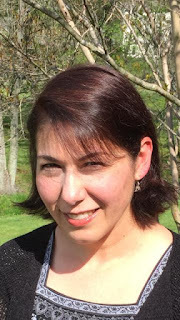 Congratulations on your new release, Rula! The henna makes your hair look terrific. The shape in your palm looks like a bird to me, too. Does that mean your new release will do really well? That's what I think it means. Finally, yes, to the henna tattoo on your ankle for RWA. I'll watch for it! Okay, you'll have to remind me as we near RWA Nationals. Is anyone else willing to do an HW 'heart' henna tattoo lol? Will I have to show off my ankle alone? Deanne, as a mom of 12 you deserve the best Mother's Day ever! Good luck in the drawing and thanks on the hair! I like the henna. I like that it's not too crazy. It's subtle. I've always liked red hair color. It looks pretty on you. Thank you for the chance at this giveaway and congratulations on the book. Rula, your hand tattoo looks like a buffalo. Maybe that's good luck, too. Love the red tint in your hair. And happy book launch. Ha, Roz! I had to scroll back to look for a buffalo lol. I looked up the symbolism of buffalo and it's supposed to stand for a sign of promise and prosperity. I like that! Thanks on the hair too! So far it sounds like I'm sticking with it! Hi, Rula! What we see in your hand is as diverse as all our Heartwarmers and readers. I see a butterfly! Don't know the significance, but what could be more beautiful? Love the henna in your hair. Afraid to think of what it would do to my all white! Congratulations on the book and your ability to bring you roots home to us. How did I not see that, Muriel?! It absolutely looks like a butterfly! I believe they symbolize transformation and that would fit with my hair color change lol ;). Hey, you could be quite the vibrant red head! :) I wonder if the bit of red in mine will make me more outgoing or confident? He he. I'll wait and see! Look forward to reading Through the Storm. I tried henna once and went to a wedding. Since I already had red highlights (back before my hair turned gray) the addition of henna didn’t make much difference so no one noticed. It looks great on you, though. Thanks and so cool that you tried it! So...confession here. I mentioned the process is messy-ish if you're not used to it and it's like rinsing muddy sand out of your hair. But in addition to that, it takes awhile for the color to really take. The longer it's on, the more it takes. So after mixing it (I use warm tea), I let it sit an hour or two for the color to 'activate'...then after putting it on, I wore a shower cap and left it overnight. Yep, I had many towels on my pillow lol. Of course, one can just stay at home and keep it on at least 4 hrs if not 6-8 during the day for stronger color. None of that 10-30 min and you're done with this stuff lol! But since it's better for hair, I think it's worth it! (think women’s henna party) I love that!! It seems that my mother used henna when I was a child--she was a natural redhead so I guess she wanted to make it shine. :-) Will pick up your book at Walmart this week! Gotta keep those WM sales going! Pat, it really does help hair shine, so I don't blame her for having used it! I love henna designs! When I volunteered for Sober Graduation all-nighters, I enjoyed watching the kids get henna tattoos. Leave it to you to knock my socks off. What a great post. I love the Henna in your hair. But then just about anything looks good on you. I adore your new book. It is absolutely fabulous and should be required reading even in schools. I hope you can keep the series going forever. I love the ambience an atmosphere of the Serengeti that you portray. Just marvelous. Aw, thanks, Catherine! You're so sweet!! I'm so glad you liked the story and series! It's crazy but when we write these books the setting and characters start to feel like a second home and family. I know you probably feel that with your awesome Shores of Indian Lake series too. Love this Rula! I've been wanting to try henna, but I'm a chicken. Pun intended, chicken loving sister? :) Henna would look great on you, Danica! Let me know if you take the plunge and I'll share which brand I used and what tips I was given ;). There are brands and methods using henna which don't give you the red tinge that you could try if you are worried about the colour. It's a great conditioner. Rosemary's right, there are brands that add things like indigo so that they can make different shades (darker browns, blacks etc...). So long as it's a good brand without added metals or chemicals. I personally wanted to use 100 % pure henna like we used to when I was a kid ;). Another thing to note so anyone who tries it doesn't panic...it usually looks a bit stronger/more orangy the first 2-3 days because it takes that long to oxidize...then it darkens and looks more natural. I'm really loving it! Thank you for the interesting post and wonderful giveaway! The red highlights look great on you, with your warm coloring. I have to admit, your palm reminds me of the old Bat Signal from that campy version of Batman I watched as a kid. I'm looking forward to the new book. Thanks, Beth! I love that you saw the Bat Signal lol! My kids love superheroes. I'm so telling them I'm Batgirl when they get home lol ;). Hi Rula, excellent post! Henna tattoos are fascinating, I can't imagine the steady hand that work must take. I'm officially casting my vote for your hand henna art as a heart. That was what I saw when I first looked so now I can't see anything else. Not a perfect heart but one that you might draw in the sand or decorate a cookie with... :) To illustrate my point, I've outlined it but now I see I can't post photos here in the comments. I think your hair looks so lovely with Henna! Thumbs way up! It really does change in the light because in Photo 1 after henna, the highlights really do look much more subtle than in the other photos. So pretty either way! I do not have personal first hand Henna experience but I do have a ton of second hand Henna experience. Every other Saturday morning or so (I think?) my mother would spend with as you described it, towels, thin plastic gloves and plastic wrap for her hair, Henna'ing out! She still does it as far as I know and many people think that she has naturally reddish hair. ;) It is a very pretty effect and you've inspired me to look into it. Maybe for Mother's Day, I will show up with matching mother/daughter hair! I love the conditioning aspect that you mentioned. Big congrats on the new book release! It sounds great - I am so intrigued by the shared custody of the nephew! :) Thanks for the giveaway opp. and the good Tues. morning read. Hi Krissie! I love that you see a heart :). And I love your idea of showing up on Mother's Day to surprise your mom! Or maybe even have a mother/daughter henna party :). Plenty of mother/daughter bonding time while heads are wrapped in plastic lol! Doing it really brought back memories of when my mom did it and I loved calling her up to see if she remembered any tips or little 'henna'ing secrets'. One thing she reminded me of was that she used to put it on if she had a bad migraine or headache (which I get too). It has a cooling effect and helps. Makes sense since cold would shrink blood vessels :). Thanks on the book too!!! Oh my goodness, that is a great idea - a mother/daughter henna party. She would love it! And what perfect timing. :) Yes, the opportunity for lots of time... as I remember, it was literally the entire morning with her head wrapped up in plastic. That is so neat that it's cool. I didn't know that. For some unknown reason, I've always had the misconception that it was warm? That sounds really nice especially on a hot summer day - what better way to cool down and get pretty hair at the same time? It's typically mixed warm (like I use warm tea) because the warmth speeds up dye release, but once it's on the head it draws heat out...so it's cooling just like a mud bath :) (not that I've had a mud bath but I do believe elephants enjoy them lol ;). Hope you have a fun henna party! Your hair looks fabulous. Not sure I'd be brave enough to try but I love that shine. Congrats on the new book! Terrific series. I think the henna looks great. I tried coloring my hair to cover the grey and decided I earned every one of the grey hairs so now I don't! Thanks, Shirley! And I love your attitude about grey hair! I actually don't mind going grey...or silver/white...love that look too. Very wise! I have the same view about the fine lines/wrinkles forming around my eyes. I wouldn't change them for the world because every little one holds my past in it :). Love the henna head!! Congrats on the release. Mac made an impression on me in your first book so I'm looking forward to reading his story. Thanks, Carol! I'm biased but I have to agree about Mac in The Promise of Rain. In fact, when I first submitted that book and was talking about it with Victoria over the phone (The Call), she said she thought there was a secondary character who needed their own story and had me guess who she had in mind...and it was that same one I had in mind :). Mac! I have to say that from all my heroes, he's the one I'm crushing on ;). There's just a bit of Indiana Jones/Crocodile Dundee to him. I think your hair looks really great and natural, and I've always loved henna tattoos, such intricate, pretty designs. Thanks, Summer! I agree that the intricate designs are so beautiful! Looks like you had great fun doing your hair. Great piece on henna! It used to be very fashionable so maybe you will start a new trend. Good luck with the new book! I'm chuckling (maybe I've had too much coffee this morning lol)...but I'm suddenly wondering how the cover art team for our books would react if an author, when they send in character info for them to work with, fills in 'henna head' under heroine's hair color ;). Hey everyone! I woke up this morning and when I saw Catherine Lanigan's 'Fear of Falling' on my nightstand, I noticed that the gorgeous model on the cover looks like her hair was dyed with henna! :). Just had to share lol. I have only ever tried the henna hair treatment that does not turn your hair red. I LOVE your red hair. I must try this. If anyone tries dying their hair with henna (or creates a henna tattoo/design (rated G/kid appropriate body part:), feel free to post in comments on this post on my FB (it won't let you here) or tag me on Twitter and link to this post. I'd love to see the results just for fun! I've seen henna body art, but I never knew henna was used for hair! It looks great! I love reading about different cultures, I never thought about henna bringing red out in hair. Your hair looks nice with the red in it.